Here is a section of an original Seedling Mile on the Lincoln Highway. It was completed November 3, 1915. Grand Island was the second city in the United States to build such an example of concrete roadway. The original Seedling Mile extended from the corner of Willow Street one mile east, ending near the Seedling Mile School. 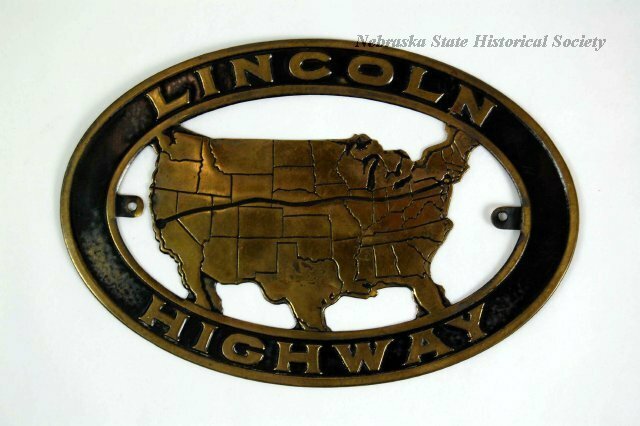 By 1913 the route of the Lincoln Highway had been chosen and dedicated nationwide by the newly formed Lincoln Highway Association. The association's main goal was to develop a paved, toll-free, transcontinental highway from New York City to San Francisco. To help meet this goal, the association conceived the Seedling Mile program. Seedling Miles would be the "seeds" from which paved roads would extend across the nation. The Seedling Mile was constructed with locally donated cement and funds. Fred W. Ashton of Grand Island raised $1,170 for the project. Realignment of the highway in 1931 allowed this section to be preserved. It is the only remaining original section of a concrete Seedling Mile that has not been widened or covered with asphalt. 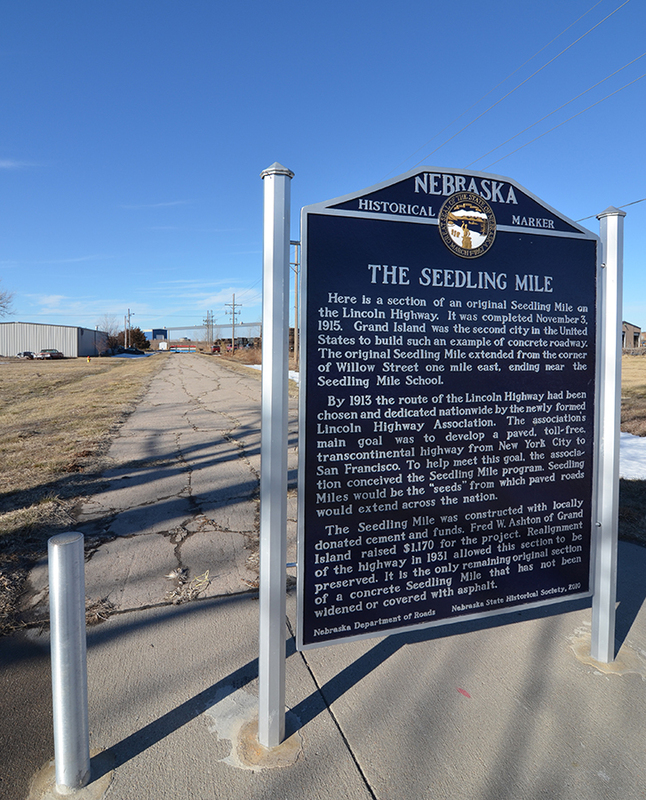 “The Seedling Mile,” Explore Nebraska History, accessed April 18, 2019, https://mynehistory.com/items/show/262.